Massage the breasts, it’s good! Breast massage can be practiced at any age, simply to have breasts! It is a natural and healthy way to have a nice chest and maintain it. The ideal is to massage his chest every day, year-round, as part of your beauty routine consistently. It’s a way to be close to his body and “cuddle” her breasts on a daily basis! Ever massage your breasts? then it is high time to get going and you will see that you can’t live without you. Not to mention that it is important for a woman to watch her breasts, because of the risk of cysts, tumor, cancer. We’re never quite too cautious and the massage is a good way to monitor that there is no anomaly in the breasts. Breast massage is relatively simple and is done methodically. The image below shows you the different movements on the breasts. Some are circular, others are directional. Do all these movements on your breasts with a massage oil. A sweet almond oil will do the trick and she softens the skin wonderfully considerate also the risk of stretch marks of the breasts. The self-massage of the breast does not happen no matter how, there is a technique to follow and movements which were meant for their efficiency: tone, firm, moisturise. 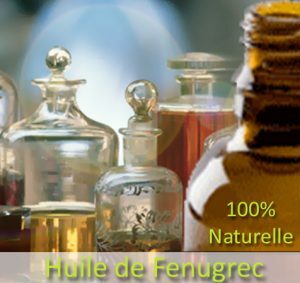 Fenugreek Oil for breast massage :Take a natural oil, warm between your hands before starting to massage the breasts. Step 1: with the Palm of the oiled hand, place it between the breasts and practice a movement from bottom to top (never down) with slight pressure and amount up to the collarbone. Step 2: with the tips of the fingers, made of circular movements between the breasts pressing enough but not crushing. Step 3: place your hand outside the breast, a rotating movement from the outside to the inside. Step 4: with your 2 hands placed on both sides of breast, back up to the neck. Step 5: make a move in the form of 8 starting from the center of the chest and turning around the breasts. Step 6: place the hand outside the breast and squeeze up under the armpit. More: place one hand at the top of the breast and the other below, make a horizontal movement while keeping the hands around the breast. You need a bit mix. This form of breast massage practice continues with oil, never dry. It is shown that the massage of the breast to a power firming and toning. You should know that by doing this exercise with a good oil massage, you optimize your chances of having a beautiful chest. Because the skin of the breast is fragile, she needs a good hydration. By doing this massage (free because it is you’re doing! ), you can keep a nice chest, that’s for sure! A natural and organic massage oil is ideal. Food oils are deprecated, except olive oil bio with 1st pressure cold can possibly be used. A ban, the nickname oils massage that contain no natural products (from the petrochemical as paraffin). Ideally, choose a sweet almond oil, Sesame or coconut oil. Massage oil must always be chosen carefully because it penetrates deep into the tissues. According to the oil you choose, it will be effective to strengthen and grow breasts at the same time. What more?